With Tower 57 - 2 Pack you get 2 keys from the Tower 57 base-game! Explore to the fullest this title that plunges deep into co-op mode! 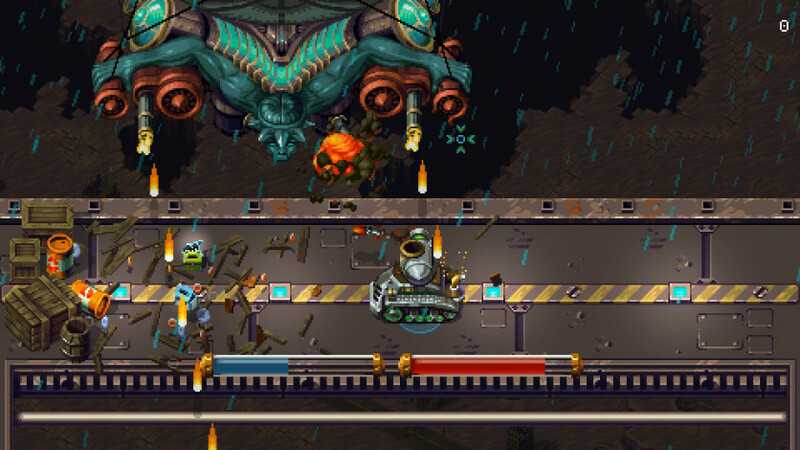 FAST-PACED ARCADE GAMEPLAY: there is no school like the old school. Shoot everything that moves and don’t get killed in the process. 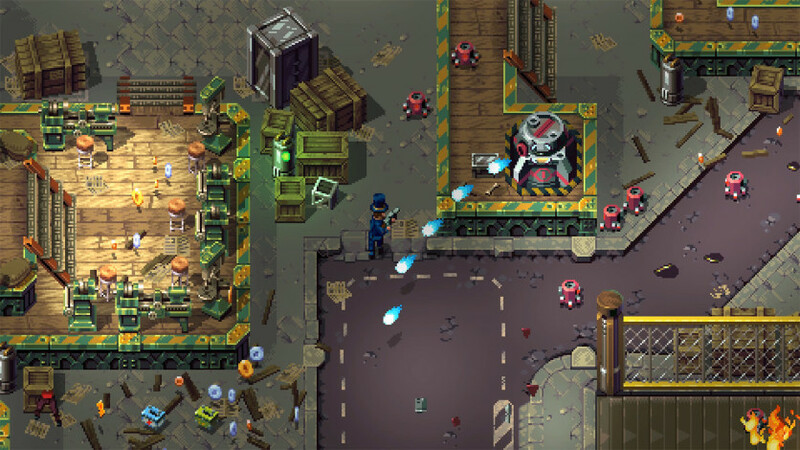 Tower 57 offers complex situations arising from simple systems interacting with each other - and it does it the hard way. Number of lives is scarce, respawns limited and difficulty skyrockets when you least expect it. 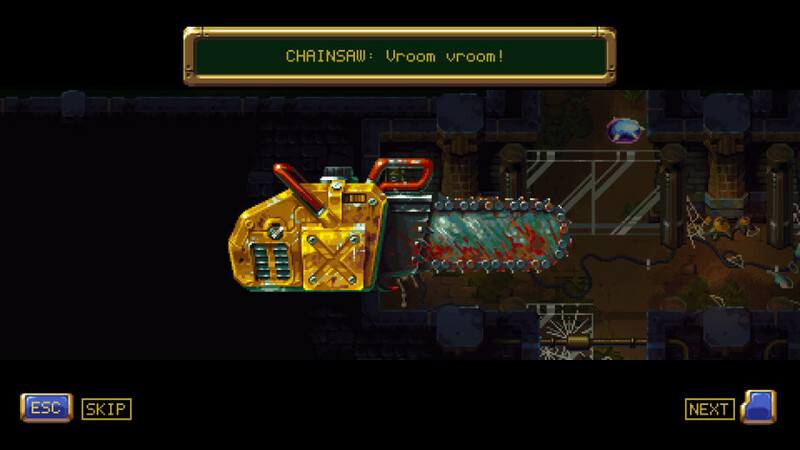 TOOLS OF DESTRUCTION: choose from a roster of six particular characters with different skillsets, number of upgradable weapons and gadgets. 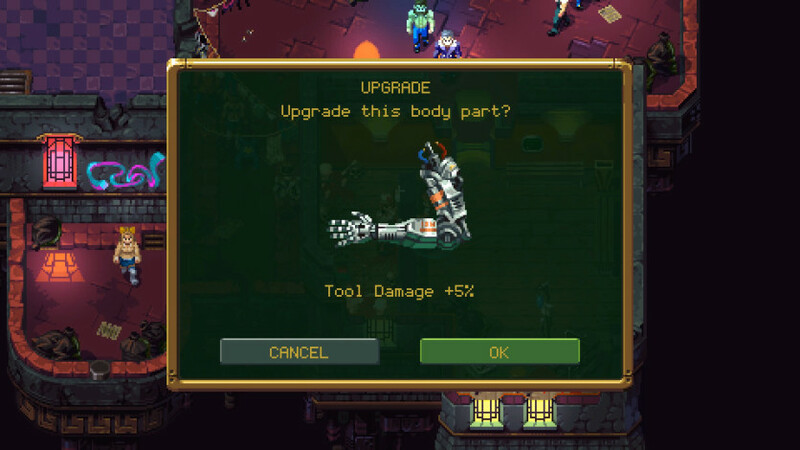 And if you happen to lose an arm or leg during your mission - you can always replace it with a new, better one! Master these combos and you will never get bored on your way to the top of the Tower 57. COOPERATION: mayhem tastes the best when it is shared. 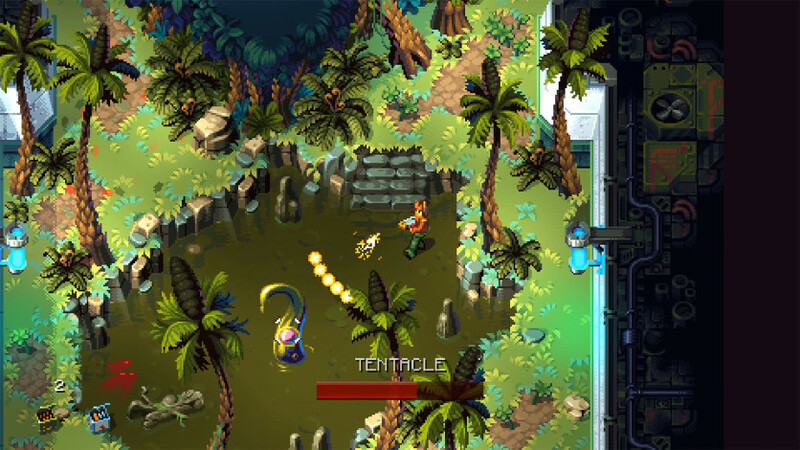 Tower 57's main campaign is designed for both, single player & local/online CO-OP. Flank your enemies, bait them into an ambush, leverage co-op specific weapons, or combine your regular weapons for increased firepower and new effects! DIESELPUNK WORLD: find your way through a maze of floors connected by elevators, a central hub filled with shops and terminals, and a multitude of secret walls and uncharted passageways leading to forgotten parts of the tower. 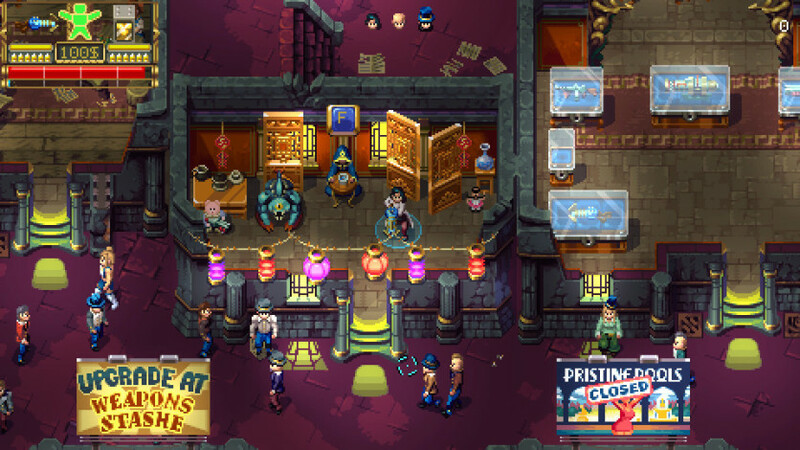 Times of randomly generated levels are gone - everything in Tower 57 is carefully designed and pixel-crafted with the highest attention to detail. 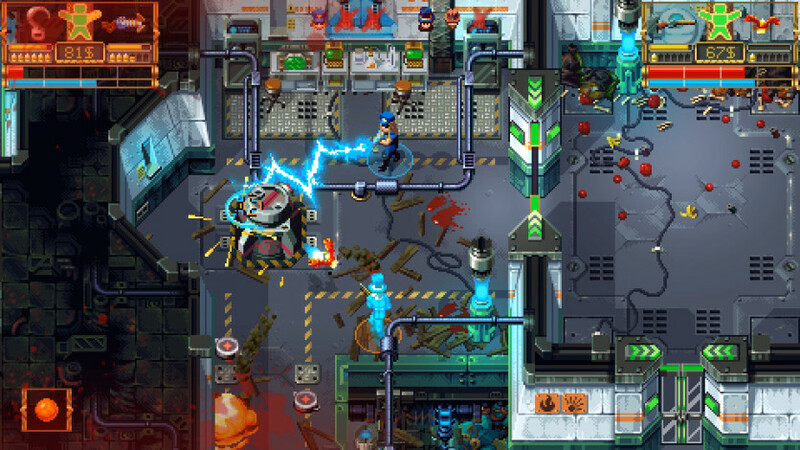 DESTRUCTIBLE ENVIRONMENTS: smash them, crash them and destroy everything. Reload. Repeat. Because everyone likes when things go BOOM. Everything - from debris and shell casings to bloody footprints - will mark your destructive trail through the Tower. ADVERSARIES: each enemy features its own distinct spawning mechanism, movement & attack patterns, as well as some weaknesses. And you'd better learn those vulnerabilities if you don't want to end up dead very quick.